Reimage repair is a Potentially unwanted program (Pup) Which shows lot’s of annoying popups and ads to it’s users. Some Reputed Anti-malware Software’s Such as Malwarebytes, AdwCleaner and Mcafee also has detected this software as a Virus/Pop. It get’s installed on your computer with some freeware software’s or viruses. 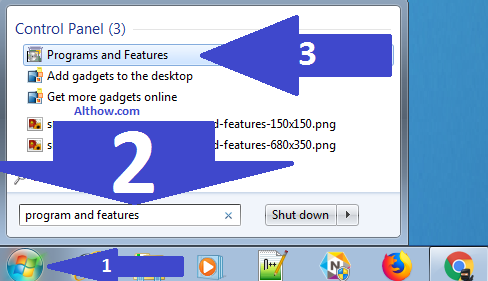 Reimage repair can show you popups on your browsers and redirect you to some annoying pages. 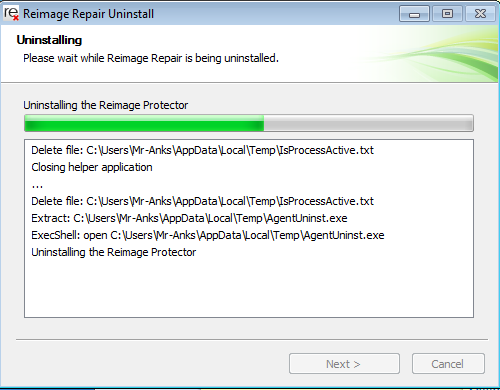 Reimage repair gets difficult to uninstall for its users due to it’s complicated and tricky procedure. 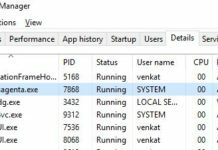 In this article i will be providing you step by step tutorial about How to uninstall reimage repair in windows 7, Windows 8 or Windows 10. Follow Below step by step tutorial to uninstall reimage repair from your computer. 2. Uninstall Reimage repair from windows Computer. 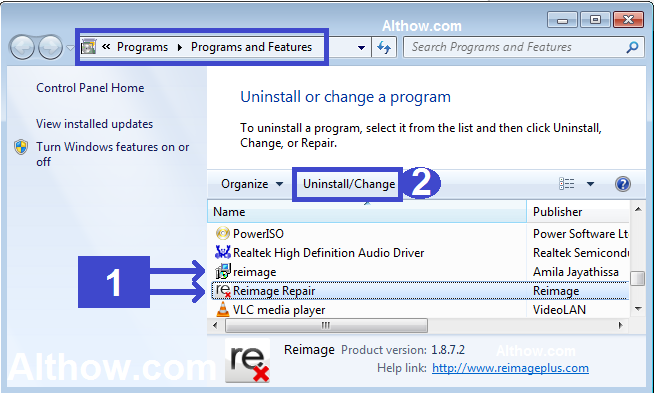 Follow Below steps to uninstall reimage repair. Now highlight the Reimage repair and click Uninstall/Change. 4. Remove Reimage Extensions from Your Browsers. 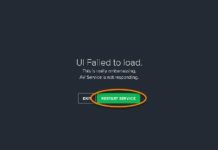 After removing Reimage repair software, there will be some extensions left on your computer which you need to uninstall. Below Articles will help you to remove Unwanted Extensions(Plugins) from your browsers. If you want to make sure that your browser is clean, you can reset all your browsers. 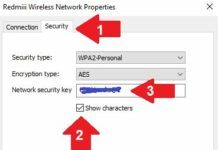 Below article will help you resetting your browsers. 8. Fix issues with CCleaner. After Cleaning your system with tools such as Malwrebytes and AdwCleaner to remove viruses such Reimage repair there will be some invalid Registry values and junk files left on your computer. They can come up with any issue in the future, So you need to clean them with CCleaner. Below article will help you to optimize your computer with CCleaner. 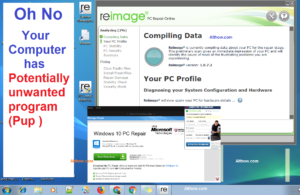 Thanks for reading my artile about how to remove/uninstall reimage repair from your pc. If you have some questions, feel free to comment below.